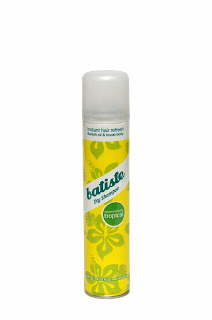 Batiste Dry Shampoo Tropical is the first dry shampoo that I have ever tried. It was mainly due to my curiosity that I wanted to give it a try. At first, I had no idea how to apply it to my hair but the instructions located on the can were very easy to follow. I normally have dry hair but it gets worse during the hot summer days. I don't wash my hair every day as it isn't healthy for the hair. The first day I used it, it did exactly what I had hoped for. It made my hair look like I had just washed it. It also made my hair smell great. However, I noticed that it leaves white dandruff like tiny bits and since I already had dry hair, my already dry hair felt dryer. From my own perspective, I think this product would work well for those who have greasy or oily hair. I think this product makes your hair look and feel less oily. This product is great for busy women who are always on the go and want to bring life back to their dull, lifeless hair without having to go in the shower and spend a lot of time blow drying. Since my Batiste Dry Shampoo is still almost full, I am planning to give this to my hubby's daughter who is one busy woman: a clinical nurse and a mom. The Batiste Dry Shampoo Tropical has a little scent of coconut which is I really like but if you are not into this scent, don't worry because Batiste has several other exciting scents to choose from. They have Original, Blush, Fresh, Cherry and Wild along with their Hint of Color range.